Well, what an exciting year this was! And I’m not saying this because I discovered the joys of blogging this year. Here’s my list of important events events this year. 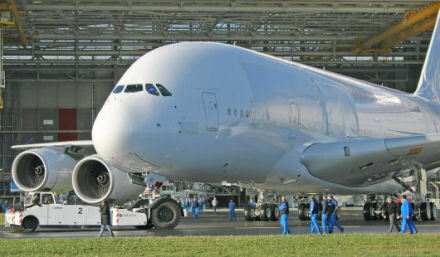 Earlier named A3XX, Airbus 380, the largest passenger airliner (with a capacity of 800), is unveiled by Airbus Industrie. Only time, and frequent flier miles will tell whether it wins or its competitor, Boeing 7E7 Dreamliner. It is said that airports may have to redesgined to accomodate it. Did you know that once there was a pope who was actually a woman? This fact was discovered when ‘he’ gave birth to a child. And did you know that Vatican City, the smallest country in the world, has no female citizens? The epic saga ends with the last prequel of the Star Wars series, completing the amazing story started by George Lucas about 30 years ago. Nice movie, tells how Anakin Skywalker becomes Darth Vader. The scene when the mask is put is iconic. Otherwise, the whole movie is one big fight sequence, because Lucas had to finish off characters he introduced in the first two prequels. Good time to sit down and watch all the six again, lightsaber in hand, in case your mom creeps up behind you to turn off the TV. I’ll take no responsibity if you kill her. The Cassini-Huygens Mission reaches Saturn after a seven-year journey. We are getting some astonishing pictures of Saturn’s rings, Titan, etc. Check them out at Astronomy Picture Of The Day. Space shuttle Discovery lifts-off in the first mission after the unfortunate Columbia incident. NASA seemed pretty jittery this time, because they delayed the landing too. Work still needs to be done on the faulty foam, because a piece broke off this time too. A very unfortunate incident, terrorists carried out bombings in the London Underground. Many innocents die. The sixth book of the series, Harry Potter and the Half-Blood Prince brings about many twists in the story. Dumbledore is killed, and Snape turns out to be the mysterious ‘half-blood prince’, who works for Voldemort. Harry Potter has a crush on Ginny Weasley and startling insights are given into Tom Riddle’s childhood. The quest for Horcruxes concludes in the seventh novel, now for the showdown. Personally, after devouring it on the first day itself, I was disappointed by this book; Harry Potter and the Goblet of Fire was much better. The next version of Apple Mac OS X, Tiger is launched, with new features like Spotlight. 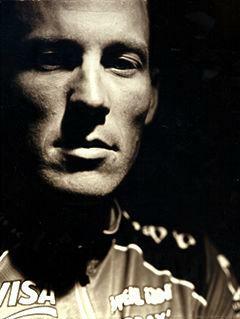 Lance Armstrong, many time champion of the Tour de France retires after a win for the Discovery Channel-AMD team. A source of inspiration for many cancer patients, for his astonishing comback, he is embroiled in a doping controversy. Google Earth awes one and all with its stunning images and fly-bys. My favorite – a fly-by from the Himalayas to the Grand Canyon at a tilt, so the the features stand out in relief. If you haven’t used it yet, you are missing something in life. Microsoft announces the next version of Windows, to be launched in 2006. Earlier codenamed Longhorn, it will be henceforth known as Vista. It promises much more security, transparent windows, better graphics, a new and simplified version of Microsoft Office, anti-spyware, Internet Explorer 7, blah blah. Yeah, we’ll see what we actually get. Some enterprising geeks have already made it an acronym for Viruses, Insecurities, Spyware, Trojans and Adware! Hurricane Katrina, Rita and Wilma wreck havoc in USA as many people die and billions of dollars worth of damage occurs, slowing down the engine of world economy. The NASA Mars Mission completes one ‘Mars year’. The twin rovers, Spirit and Opportunity are now on opposite sides of Mars, expanding the horizons of human endeavour and knowledge. Initially, the mission was for only 45 days, but it was extended later. The movie event of the year for many Potter fans. Harry Potter and the Goblet of Fire is released worldwide on November 18. Good movie, but as I have written in my review on this blog, it’s a bit rushed. So that’s it for this year folks, meet you on the other side of the time barrier in 2006! I’m deeply grateful to the people who have given me the permision to include the pictures in this post. Copyright belongs to individual owners, not me! What can I say ? an excellent post. Keep it up. What is this Ankur? You are giving priority to this post. All the other posts by the respective members are going unnoticed. And if this trend is continued, I will be posting after the new-year i.e. when this post is off with its priority. When I said the word “priority”, I meant why making the post “postdated”? And now, why are you giving the priority to the C++ post? Let all the posts here have the actual date and time og their posting. You see, it wasn’t to give priority. A goodbye article should be posted right before the new year begins. Since it is not possible to write and publish something at the stroke of midnight on 31st, I gave it a 31st date. This probably caused a misunderstanding. Anyway, most people visiting our site are referred by search engines, so they would have found your post. Also, I told you that I had posted links to the goodbye articles in some forums. Viewers are coming from there. ‘First impression is last impression’, as you said earlier, so if they found the post linked to at the top, there is a greater possibility that they will come back. See, I go through my Google Analytics reports all the time to see the top movers, most viewed pages etc. and I thank you for contributing to this blog’s success, but who doesn’t want to go higher? Let’s not ‘fight’ about this, can we. We all want this blog to prosper. BTW, I’m not prioritising my posts, because even I posted things after this article, I’m prioritising this post.